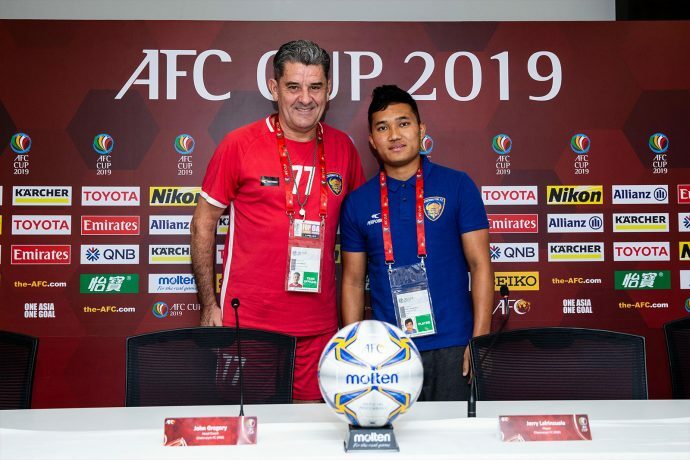 A resurgent Chennaiyin FC side shifts focus to the 2019 AFC Cup in search of their first group stage victory when they welcome Nepal’s Manang Marshyangdi Club to The Arena Stadium in Ahmedabad on Wednesday April 17, 2019 with kick-off at 7:30 PM. Having drawn their opening group game 0-0 against compatriots Minerva Punjab two weeks back, Chennaiyin come into this one on the back of a narrow 2-1 defeat to FC Goa in the Hero Super Cup final three days back. CFC have been boosted by the return of midfielder Dhanpal Ganesh and left-back Jerry Lalrinzuala to the starting eleven in recent games. Both the Indians made giant strides in their comeback from injury layoffs by playing from the start in the Super Cup semis and final. The Brazilian central defensive duo of skipper Mailson Alves and Eli Sabia along with custodian Karanjit Singh have also found form in both cup competitions. And young midfielder Anirudh Thapa was one of the standout performers for CFC in the run to the Super Cup final with two goals and two assists to his name. “The AFC Cup has inspired us and helped us regain our form and confidence. Playing in the AFC Cup is a huge honor and privilege for us and we wish to go as far as possible in this competition. Manang will surely pose a tough challenge, but we will be ready. The players are all focused,” said the Chennaiyin gaffer at the pre-match press conference. Manang interestingly also have an Indian player in their ranks. 22-year-old central defender Muhammad Asif, who hails from Kerala, is one of the four foreigners in the Manang squad. Asif signed for Manang from Calcutta Customs last October, earning the privilege of becoming an Indian footballer representing a foreign club at the continental stage. Manang’s three other foreign players are all Nigerians – defender Azeez Saheed, and forwards Afeez Olawale Oladipe and Adelaja Somide Oluwaunmi, all of them playing an influential role in Manang’s recent title triumph. Adelaja has also plied his trade in India in the past, turning out notably for the likes of East Bengal FC, Gokulam Kerala FC and Mohammaden Sporting among others, before making the move to Nepal last season. The other Group E game on matchday two between Bangladesh’s Abahani Limited Dhaka and India’s Minerva Punjab will be played in the former’s home ground on the same day with kick-off at 5:15 PM IST.